Are MOBs an endangered species? Will medical office buildings (MOBs) go the way of the rotary phone? 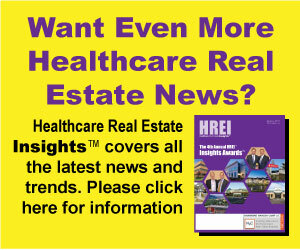 ■ Jeffrey Land, VP, corporate real estate, Catholic Healthcare West (CHW). The moderator was Randy McGrane, a managing director with Ensemble Real Estate Services, a Phoenix-based real estate firm specializing in healthcare properties.